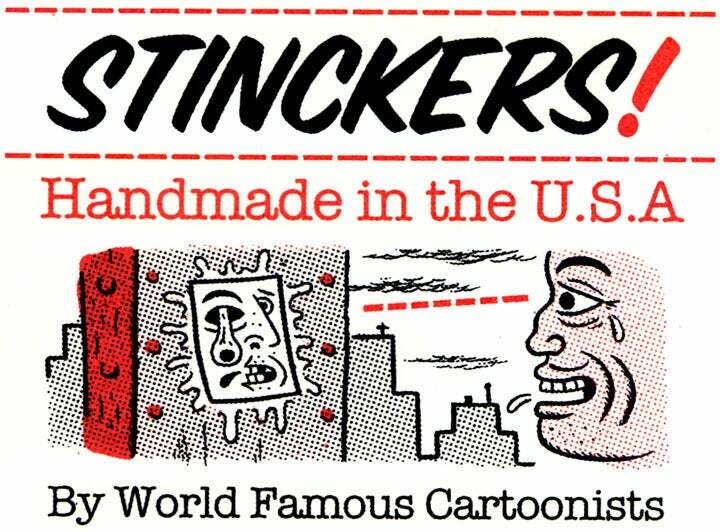 SUMMER PROMO: BUY [any] 3 UNCUT PRODUCTION SHEETS + receive a STINCKERS 3-PACK *FREE* with your order! 1st collaboration TF (aka Live Rad Studios); Cartoonist, Painter, Tatooer + Total Sweetheart!! Words fail us so look at the pics and pic a sheet out for yourself! 20 4-color Autographed Production Sheets available; 15 Standard and 5 Super-Magenta (side-by-side comparison in pic #3 - Super-Mag at right)... Designed by Thomas Fernandez in So. California, screen-printed by hand in San Francisco. DIE X 9: Uncut Production Sheet by Mats! ?